Welcome to the June 2009 issue of the Global Washington newsletter. If you would like to contact us directly, please email us. Spotlight: Global Washington is Looking for a Policy Coordinator! Global Washington recently celebrated some very exciting news. We received a letter three weeks ago from Senators Maria Cantwell and Patty Murray, congratulating us on our success in bringing together many diverse Washington organizations to work together on the complex issues of global development. The letter also asked for Global Washington’s input concerning real world examples of successful development partnerships, as well as policy recommendations regarding strengthening U.S. foreign assistance and ways to maintain the state’s leadership role in development efforts. We are honored and humbled to have received this request, and look forward to making the most of it. Global Washington continues to push ahead with research and recommendations regarding critical policy matters. We are currently working with our Principles Committee on recommendations to improve the effectiveness of America’s foreign aid. Although numerous documents, such as the Paris Declaration on Aid Effectiveness, have recommended badly needed reforms in the foreign aid strategies of developed nations, the U.S. continues to lag behind in adopting these. Global Washington will work to help institute such changes, including making aid more transparent, untying aid from onerous procurement requirements, and targeting aid more effectively to best address recipients’ needs and avoid redundancy. To that end, we are thrilled that the Initiating Foreign Assistance Reform Act of 2009 (H.R. 2139) is making its way through the U.S. House of Representatives. The bill would require the President to adopt a national strategy for foreign aid, defining America’s role in global development and setting objectives for reducing poverty and improving economic growth in developing countries. It also mandates the development of effective mechanisms for monitoring aid effectiveness, and improves transparency by requiring the publication of extensive information regarding U.S. aid flows. Although the bill does not sufficiently address the current outdated legislation governing our foreign aid, the Foreign Assistance Act of 1961, it takes an important first step towards realigning America’s foreign aid strategy and policies with 21st century priorities. Global Washington also continues to work on the integration of global learning into the university curriculum during a time of budget cuts. Global Washington, in consultation with its Higher Education Committee, has developed a series of Global Learning Goals, which have been approved by 28 university presidents around the state. We are hopeful that these goals, which include improving cross-cultural understanding, increasing the proportion of students who study abroad, and ensuring all students can communicate in more than one language, will find their way into the core curricula of all 2- and 4-year institutions of higher learning in the state. Global Washington is currently developing metrics for measuring the progress of these goals, as well as cost-effective implementation strategies. We are excited about moving ahead on these policy matters and as always, look forward to your input. Global Washington is hiring a new Policy Coordinator to develop Global Washington’s policy activities, staff Global Washington’s state-wide policy panel and coordinate advocacy and outreach programs to increase the ability of the global development sector in the State of Washington to influence global development policy. You know you want to do something to help end global poverty, but you don’t know what. You have a good idea about what you want to do, but you aren’t sure whether it is really needed or how you should do it. You know what you want to do and that it is needed, but you don’t know anyone in Seattle or overseas who could give you advice and support along the way. Your organization has staff abroad that needs training in project development, leadership skills, evaluation and/or funding. Learning what needs to be done, critically examining projects, and finding support, both at home and abroad, are subjects we in the community concerned about global poverty need to explore. Fortunately, iLEAP: The Center for Critical Service is here to help. 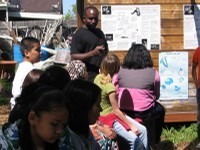 iLEAP is an unique international education and training nonprofit organization based in Seattle that brings together participants from around the world who are working in a specific area of global development to help them learn the skills and make the connections they need for their projects to be successful. Born of many years of dissatisfaction with development training programs packed with technical detail, but lacking either critical context or ongoing support, iLEAP was created to marry the academic task of analysis with the practical skills individuals and groups need to turn such learning into action. Imagine an American who wants to work abroad on hunger, food security or sustainable agriculture, but doesn’t know how or where he might be useful. Imagine a Zambian in charge of a sustainable agriculture program who needs information about how others have organized and supported such programs, and who wants to further develop his leadership skills, learn how to market his program or speak publicly about it. Put them both together in a training program where they can learn from each other. Have both learn about sustainable agriculture programs in western Washington, as well as get to know people and organizations that are doing similar work. Put them in touch with the funding sources in the fertile Seattle valley and create structures that will foster long-term collaboration. A romantic ideal about collaborative global partnerships? No. This is reality and it is being actively practiced in Seattle and around the world through iLEAP’s programs. This is Paul Samba, a Zambian leader in sustainable agriculture who was a member of the 2009 iLEAP International Fellowship program and is now a part of the iLEAP faculty upon his return to Zambia. This is Michael Kraft, a participant in iLEAP’s Taking the LEAP Program who has joined Paul in Zambia, The two spent parts of several months together here in Seattle where they both studied Social Enterprise and Innovation, Collaborative Leadership, Sustainability, both ecological and social, and Reflective Practice. 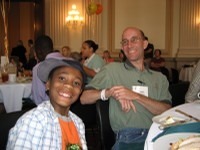 Paul will mentor iLEAP’s American participants such as Michael during his time in Zambia. When he returns from Zambia, Michael will spend a couple of months debriefing back in Seattle in iLEAP’s ‘Bringing it Home’ curriculum, where he will process his time in Zambia and, most importantly, explore what he will do next as the result of this experience. iLEAP is the brainchild of Britt Yamamoto and J.B. Hoover, both of whom have had substantial experience overseas in development programs where they met. 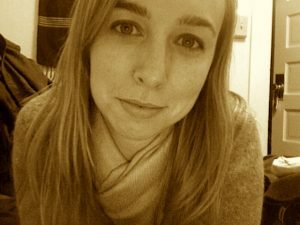 Britt is currently Core Faculty in the Antioch University Seattle Center for Creative Change, a Master’s Program which prepares students to take leadership roles in social change. He is also a clinical faculty member in the University of Washington Department of Global Health. 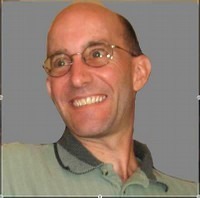 J.B. is the President of the iLEAP Board of Directors. iLEAP has its origins in a class Britt taught at the UW where students chose a service project to work in, but the class work consisted of a rigorous analysis of the very programs the students were volunteering in. Did the program lead to systemic change? What were the assumptions under which the organization works? Were they stated or unstated? Were they doing a job that needed to be done? How could they really know? If it was worth doing, were there better ways to do it? What were the student’s own assumptions in doing ‘good work’ and ‘serving others’? Students learned to look at the efforts of their organizations and their own efforts with a careful, critical eye. But they also married analysis to action, and training to real connection with others. Britt was awarded one of the University of Washington’s Excellence in Teaching awards as the result of creating this course. Since 2004, iLEAP has been creating international training and education programs lasting from from 1 day to 9 months for specific sectors. Another of its programs, Social Innovation in Seattle, brings Japanese students to the U.S. for a month long course that introduces them to the idea of social enterprise and innovation and helps them make connections with local non profit organizations and area businesses. iLEAP now has ten International Faculty around the world. 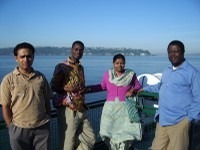 These Faculty are graduates of the iLEAP International Fellowship and have all received an extensive training in Seattle. Upon the completion of the program, iLEAP Faculty are then available to mentor Taking the LEAP participants from America, like Michael Kraft, who come to live and do volunteer service in their communities. Three Faculty in India are working in computer literacy, education, women and children, tribal communities and social justice. In Nepal, a Faculty member works in social justice and human rights, in Sri Lanka another works in sustainable agriculture and social justice. In Cameroon, one works in sustainable agriculture, education and forestry. Issues involving women and children are the focus of Faculty in Togo. In Uganda, Faculty works in HIV AIDS, public health and interfaith coalitions. In Zambia, Paul Samba continues his work in sustainable agriculture. Finally, the iLEAP Faculty member in Liberia works in peace, conflict resolution and education. iLEAP Faculty continue to share their successes and challenges with each other through the iLEAP blog, accessible at www.ileap.org/blog. Because of its emphasis on cross-sector collaboration, capacity building, and global justice, iLEAP works closely with Global Washington and its members. It already works with a great number of Global Washington member organizations; helping participants make the connections with others doing similar work is a critical part of iLEAP’s vision. In return, many of iLEAP’s International Fellows participate in Global Washington events. Member organizations with staff in foreign countries that may need to develop leadership skills might want to think about entering them in the Fellows Program, or collaborating with iLEAP to serve as a site placement for one of their many programs. Members with volunteers who want some direction and guidance while in country might want to consider sending them to the Taking the LEAP Program. iLEAP is capable of working with any organization, business or agency and they are actively seeking new ways to collaborate with others to advance the learning of their global participants and to strengthen partnerships with local organizations for mutual benefit. To learn more about iLEAP: The Center for Critical Service, click here. A highly placed software management guru writes an important guide to ending world poverty. That is how Jeff Keenan got from there to here. Three principles guide Jeff’s life: family, faith and fairness. He believes that living his faith authentically requires giving to others, so he has long been active in local charitable activities: homebuilding, food banks and animal welfare to name just a few. The core of his life is his wife and six children. But his faith pushes him to think beyond his own family to the perspective of parents who cannot provide their children with life’s necessities. Finally, he practices basic fairness, a sensibility he believes is universally shared, and which, if tapped on a large scale, could change the world. Jeff’s first-hand experience with living his principles in a global setting began in 2002 when Adobe sent him to Singapore to develop the supply chain for Adobe products in Asia and the Pacific. His work then took him to Indonesia and Malaysia. Between 2006 and 2008 he worked on start ups in the Czech Republic, Russia and Germany. As Strategic Initiatives Manager for Adobe, Jeff has been closely involved with the Corporate Social Responsibility movement. This work abroad brought him face to face with global poverty and then to a question that began to demand an answer from him, “I know how important each of my children is to me. What would I want someone else to do if I couldn’t provide for them?” As the demand for an answer grew stronger he first thought he might have to leave business to find it. But he soon realized that the corporate world had already provided him with lessons that would be useful. The same quality principles, continuous improvement methodologies, and ways of setting up new projects he employed for Adobe could help in this new setting. His idea was that he might engage the sense of fairness that resides in each of us if he could provide resources and information that would give us the ability to act. He was aware of the book, 50 Simple Things You Can Do to Save the Earth, by The Earthworks Group, which focuses on how people can have a practical impact on environmental problems. Jeff thought a similar book with practical suggestions about how ordinary people can do something about global poverty might be an answer. He would write a resource to engage the non-activist. He approached Joy Anderson of Criterion Ventures, who was generous with her time, and sought out many others with similar expertise. Joy then found two other team members to work with him: Shannon Daley-Harris, a free lance writer who had worked with several organizations such as the Children’s Defense Fund, the Robert Wood Johnson Foundation, and the National Council of Churches, and Karen Speerstra, the President of Sophia Serve, a coaching service for writers and publishers. After two years of teleconferences working out first the book’s vision and mission and then the actual content, Our Day to End World Poverty, 24 Ways You Can Make A Difference, was published in June 2007. The structural metaphor of the book is the 24 hour day, connecting activities we all perform in the morning, afternoon and evening chapters of our lives, such as taking our kids to school, or sending an email, to similar activities that, if applied globally, could help end poverty. Thus, ways people could be involved in global education or enhancing information technology in the underdeveloped world are detailed. Each discussion of an activity ends with several ideas through which the reader can provide several responses: Learning, Contributing, Serving, and Living. Along the way there are illustrative stories about people and organizations making a difference. The marketing of the book has been on a person-to-person and word-of-mouth basis, but the book team knows it is being read and used. 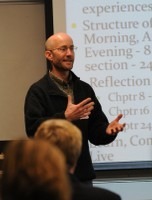 The Lutheran church, for example, created a curriculum around the book for use in their church schools, and this curriculum is available for wide use through the Internet. The book has thus far sold a modestly successful 10,000 copies. But Jeff and his co-authors measure the true success of the book by way of the anecdotal stories which show how the book has made a difference. The middle-school teacher who now does a “Global Poverty Awareness” week with his students; the Sunday School class which raised money for alleviating poverty; the social venture capital investor who received the book as a gift after speaking to a social entrepreneurship conference. While working on the content of the book, Jeff became acquainted with and then involved in many of the organizations that are members of Global Washington, as well as a member of Global Washington’s steering committee. He is now a volunteer, donor, or investor to several organizations such as Global Partnerships, Adoption Advocates International, Mercy Corps, Microcredit Summit Campaign, VillageReach, Fonkoze, Initiative for Global Development, and Business for Social Responsibility. In addition to multiple donations of Adobe software, Jeff has made himself available for review and input on key strategic initiatives with many of these organizations and others. 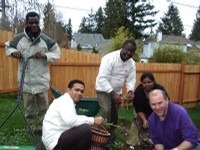 Additionally, Jeff recently co-convened the first Pacific NW Microfinance Conference at Seattle Pacific University, which included representation from World Vision, Global Partnerships, Seattle Microfinance, Agros International, Unitus, Grameen Technology, and many others. Making a difference is a motivation that most of us share. If you’re looking for a way to start, one good way would be to read Our Day to End World Poverty and then pass it on to a friend. Africa, the Politics of Suffering and Smiling By Patrick Chabal. I was drawn to this book by its title. It seemed to speak to the antipodal forces of misery and attraction so evident in much of Africa today. Turns out the title was written in 1978 as the title to a song by the Nigerian songwriter, Fela Ransom Kuti. Had I run across the song first, I probably wouldn’t have read the book, which would have been my loss. Lacking training in political science or at least the social sciences will be a liability for any reader attempting to strike through this territory. On the other hand, such a reader probably isn’t offended by the author’s decision to renounce current theories of political science in favor of looking at how sub-Saharan Africans experience politics in their everyday lives. Those who manage to hang on to the end, albeit skimming atop the waves of academic linguistic excesses, may receive insights that reward their effort. Chabal, a professor at King’s College London, and a political scientist who has written broadly about Africa and more specifically about Lusophonic Africa, eschews imposing Western political theories of structuralism, post-modernism, etc. on sub-Saharan African political life. Instead he focuses on a more anthropological pursuit: describing how people live their lives, deal with others, or interact with politics. Right out of the box he addresses the criticism that sub-Saharan Africa is too large and diverse an area to draw generalizations from it. He points out that studies of European or South American politics are not similarly disparaged. The more appropriate question is whether the generalizations he draws provide insight or not, not whether they can be shown to be valid everywhere. Divided into seven chapters, the book’s first three chapters examine the ideas of being, belonging and believing, what people find important about themselves and believe about themselves and their relationship to others. The next two address partaking and striving, how people manage their political and economic relationships and the constraints which confront their efforts. The last two chapters address surviving and suffering, addressing the enormous difficulties Africans face and the resources they deploy to address them. Chabal’s basic theme is that African political systems cannot be successfully analyzed without regard to the social identity of their inhabitants. Chabal denies that he is taking the essentialist part of the argument against the structuralists. He simply posits that you cannot understand how Africans are organized politically unless you understand the continued vitality of origin, ancestors and locality which results in a system of reciprocal obligations that are markers of community. Africans, for the most part, are born into communities where origin is important. Chabal is not suggesting that Africans follow a “cult” of ancestors. He observes that where Africans’ ancestors are buried continues to have relevance to who they believe themselves to be today. Where origin and ancestors remain important, politicians themselves must pay attention to origin and ancestors. Thus locality remains central in African politics even when a politician is operating on a national stage. Identity on the other hand, Chabal maintains, is frequently mutable. Thus the obsession with studying ethnicity or religion as markers of identity misses the point. Pre-colonial ethnicity was much more fluid than is commonly suggested, with people moving in an out of ethnic groups and geographical boundaries. Colonial rule ossified that practice by organizing society along ethnic lines, but did not entomb it completely. People continued to move. Although Independence exacerbated the use of ethnicity as a method of political control and the patrimonial society grew up using its channels, Chabal denies that ethnicity has the significance that many Western observers insist. Chabal contends that the wave of religious conversions to Islam and Christianity and currently to Pentacostalism do not create a new essential identity that no longer has to bargain with other forms of African identity. Historically, religion has been an intermittent or added identify factor not a displacer. That the primacy of community and locality prevails over the individual is frequently discussed in social science studies of Africa, but mostly as a staging post in a “universal process of human development that results in converging forms of individualization.” Chabal instead believes its study is essential to understanding African politics today. The place of women, elders and the importance of authority as opposed to power may be more important markers of African society than ethnicity. All are affected by the place from which these actors arise. Programs that assume that women or seniors or even politicians are individual actors free or even willing to chose their own course of action will founder in the absence of this understanding. Chabal’s point is not that this is good or bad, but simply that it is and thus must be considered by anyone seriously interested in African politics and economics. The notion that every individual is equal, upon which democratic politics and especially multi-party politics are based, is difficult to integrate with the existing system of reciprocal obligations. In political terms the politician’s obligations to his place of origin may be antithetical to his duties to the nation. From the point of view of the community, it is often less important how a politician obtained power, than whether he or she follows the existing rules of reciprocal obligations. Further, despite a long historical tradition of migration within Africa, the conflict between who is a native and thus bound by the same obligations, and who is not, has become increasingly severe in conflicts affecting land ownership and other resources competitions. Urbanization creates conflicts between migrants and the traditional local inhabitants that democratic concepts of one person-one vote can’t mitigate. Multi-party politics exacerbates these conflicts when rewarding kinship networks becomes the method of retaining or attaining power. To the extent that current development theories are based on the self interest of the individual, it is hard to see how they can be applied in communal societies based on reciprocity. The researcher’s task, Chabal says, is to decode what makes sense to people on the local level without imposing on them a theoretical or ideological agenda. Readers involved in development work in Africa should read the whole book to see how Chabal works this theme through a variety of modern contexts and to consider whether his conclusions might affect their own work. New Staff at Global Washington: Global Washington welcomes the newest addition to the team, Angela Dollar, as our Communications & Administrative Coordinator. Angela comes to us from member organization Crooked Trails, a non-profit community-based travel organization. She looks forward to meeting many of you at upcoming events; feel free to contact her at angela@globalwa.org and 206-652-8725. Save the Date! Global Washington Conference: A Blueprint for Action is scheduled for December 7th at the Microsoft campus. Join us as we explore leading trends and opportunities in global development, share best practices, develop cross-sector strategies, inspire and share innovations. Get connected and help us build a shared strategy for Washington to enhance global development leadership. Sign A Petition to Make US Foriegn Aid More Effective: Show you support for reforming US foreign assistance by endorsing a letter that calls on our representatives to co-sponsor an important new bill. This bill requires the President to develop a clear global development strategy and develop a monitoring system to evaluate the progress of US programs. You can endorse the letter by clicking here; please contact max@globalwa.org with any questions.